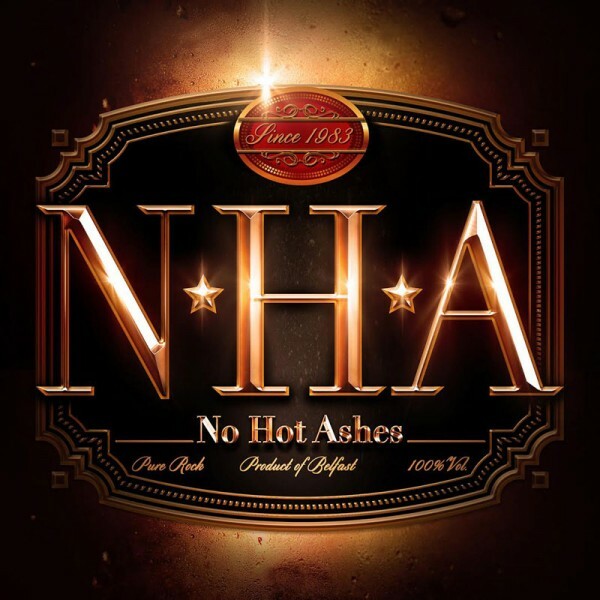 Product information "NO HOT ASHES - No Hot Ashes - CD Jewelcase"
Northern Irish rock band NO HOT ASHES are finally set to release their debut album 34 years after the band first formed. Formed in 1983 the band were influenced by UFO, Ozzy Osbourne, Whitesnake, Journey, Foreigner, Thin Lizzy and other Classic Rock and AOR bands of that era they quickly started writing, performing and recording their own songs. The band put out their first single, ‘She Drives Me Crazy’ in 1986. In the eighties the band supported bands like Mama’s Boys, Magnum, Girlschool and Steve Marriot and his Packet of Three. In early 1988 the band signed a record deal with GWR Records joining Motorhead, Girlschool and Hawkwind on the roster of talent, recording their first album later that year. By this stage the band had moved to London to be closer to the record company. Unfortunately with problems in getting the album released, by late 1990 the band had called it a day. That should have been it but in September 2013 NO HOT ASHES reformed for a one off tribute gig which snowballed. Performing what can be described as Classic Rock with a Contemporary twist they have been delighting new fans over the last four years with their hook laden, guitar and keyboard driven, melodic classic rock songs. Since 2014 NO HOT ASHES have supported Aerosmith, Foreigner, UFO, and Scorpions to name a few and had a UK tour with FM and Romeos Daughter. They have also played, and been very well received, at major festivals like Hard Rock Hell AOR, Download (Donington), London Calling, Ramblin’ Man, Steelhouse, Rockingham, and Frontiers Records Festival in Milan. The band are currently preparing to hit the road in support of their eagerly anticipated debut album called ‘NHA’ with shows already planned for late spring and summer 2018. Unfortunately for the band the pleasure of releasing the album is tinged with great sadness as founding member, bass player and friend, Paul Boyd tragically lost his brave battle with cancer in January 2017. Paul appears on the album and the band are respectfully dedicating it to Paul’s memory. Related links to "NO HOT ASHES - No Hot Ashes - CD Jewelcase"
Customer evaluation for "NO HOT ASHES - No Hot Ashes - CD Jewelcase"
I don't know where to start. In this attractive album cover is a MASTERPIECE. 34 years ago, in 1983, the band with this unusual name was founded and now, 2018, they've released their debut. I can hardly believe, that i've never heard of this strong Rock group. Pure AOR/Melodic Rock in the style of the good old 80's at its best ! Great keyboard and guitar passages, catchy tunes that we love so much. Wonderful lyrics in straight rockers and big ballads. - Not a weak song. I don't compare the band to other big Melodic Rock/AOR Bands because you have to decide for yourself, that there is new-old unique band with unique style at work here. "What long lasting becomes finally good"! I repeat: MASTERPIECE !"